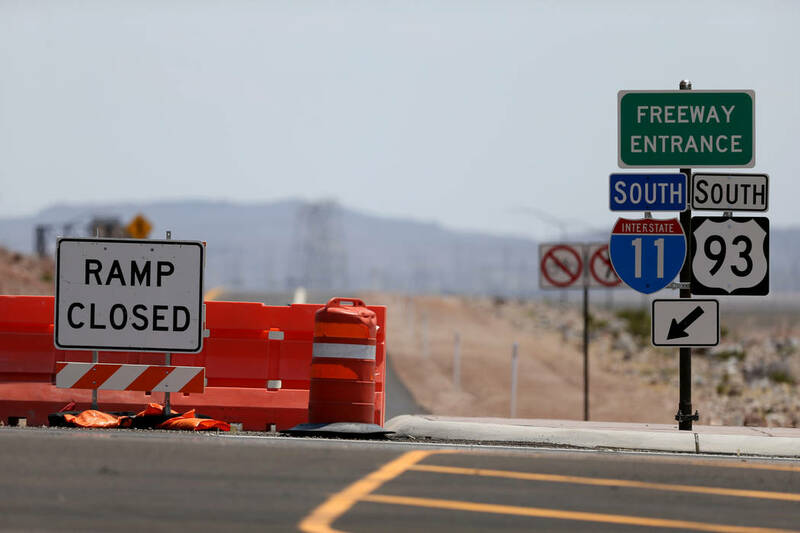 Motorists will be able to cruise through the intersection of art and architecture when Interstate 11 opens to the public Thursday. 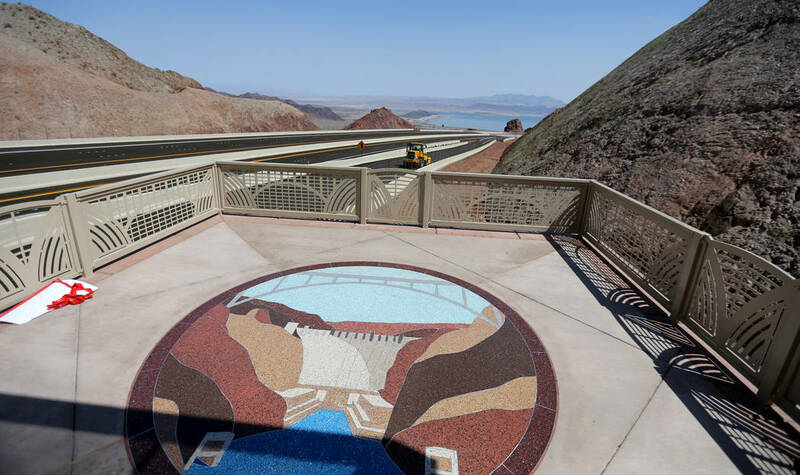 Motorists will be able to cruise through the intersection of art and architecture when Interstate 11 opens to the public Thursday, providing sweeping views of Lake Mead, art deco-style bridges and a mural illustrating the construction of Hoover Dam. 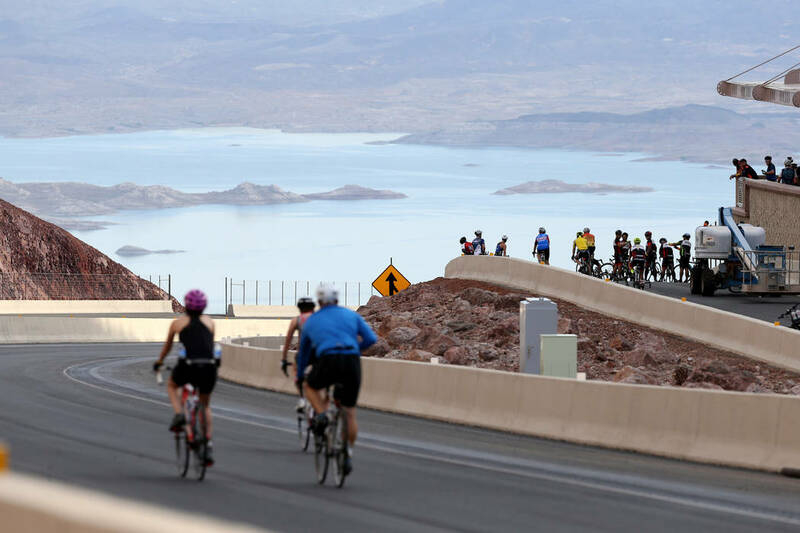 The so-called Boulder City Bypass isn’t just a functional, 15-mile stretch of road that will shave 30 minutes off the drive between Henderson’s southern border and O’Callaghan-Tillman Bridge downstream from Hoover Dam. 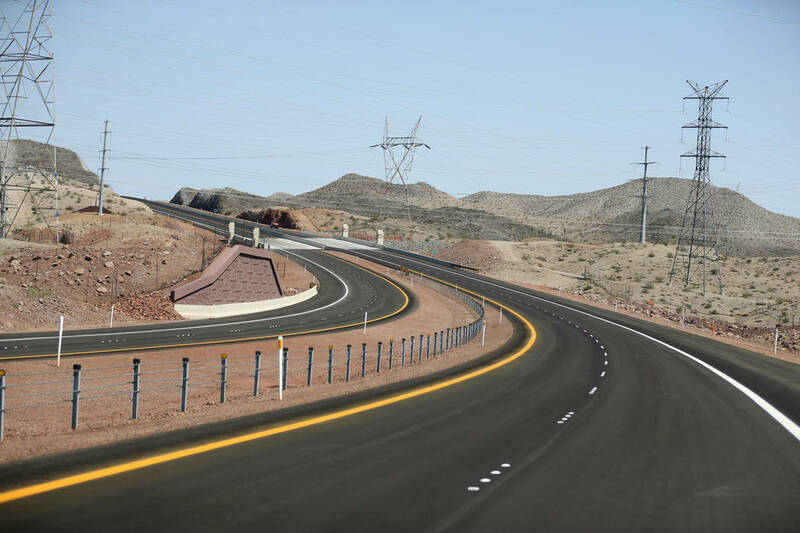 It also will be a visual treat for those traveling along the country’s newest interstate. 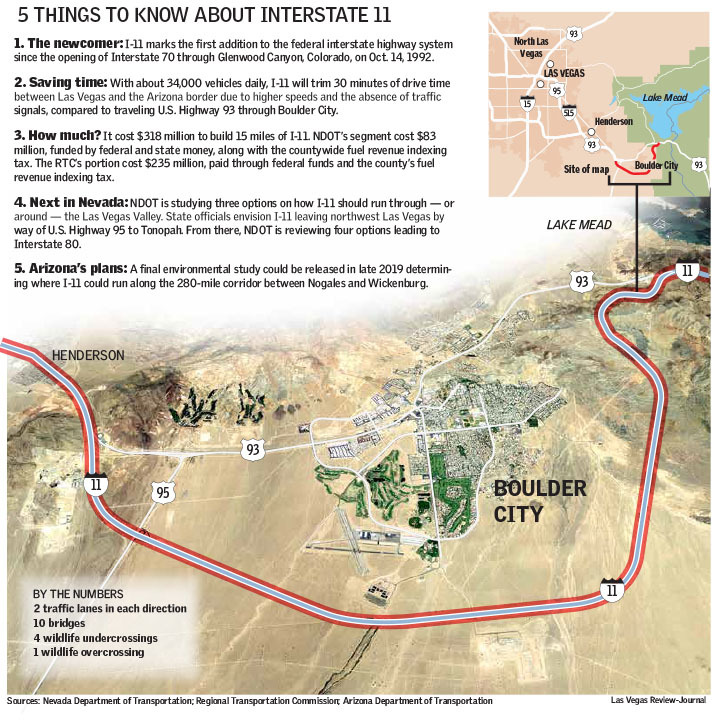 “Your eyes will see new scenes, new colors and new textures from beginning to end,” said Cary Baird, a project landscape architect for Stantec who designed the aesthetics along much of I-11. 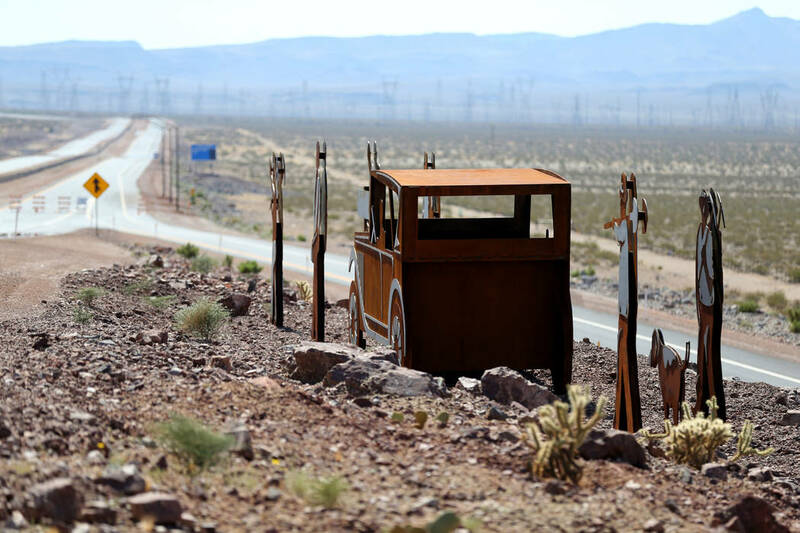 Just as the $318 million freeway construction was split between the Nevada Department of Transportation and the Regional Transportation Commission of Southern Nevada, the art was crafted by two companies. Despite that, the work resulted in a cohesive collection of art that tells the story of Hoover Dam. 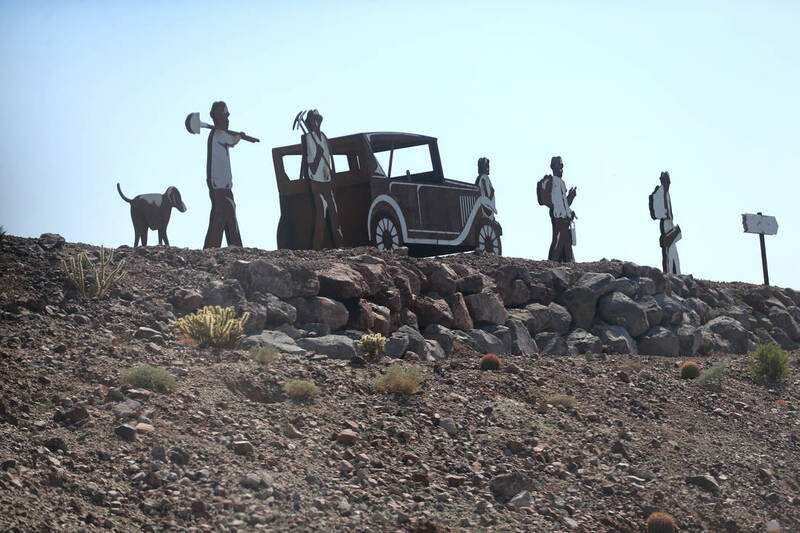 As the RTC’s contractor, Stantec placed a collection of sculptures depicting a Model T car and a handful of Hoover Dam’s construction workers along a 12.5-mile stretch of I-11. 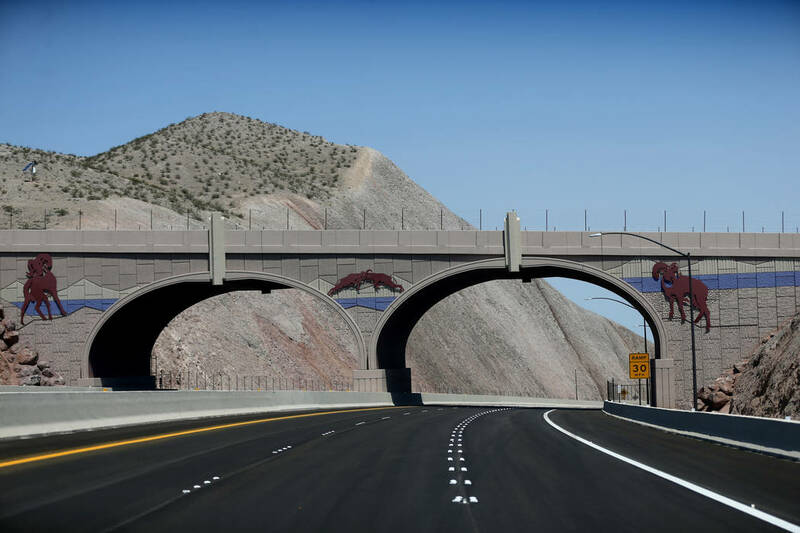 Metal art will be illuminated along a concrete bridge linking I-11 to U.S. Highway 95. 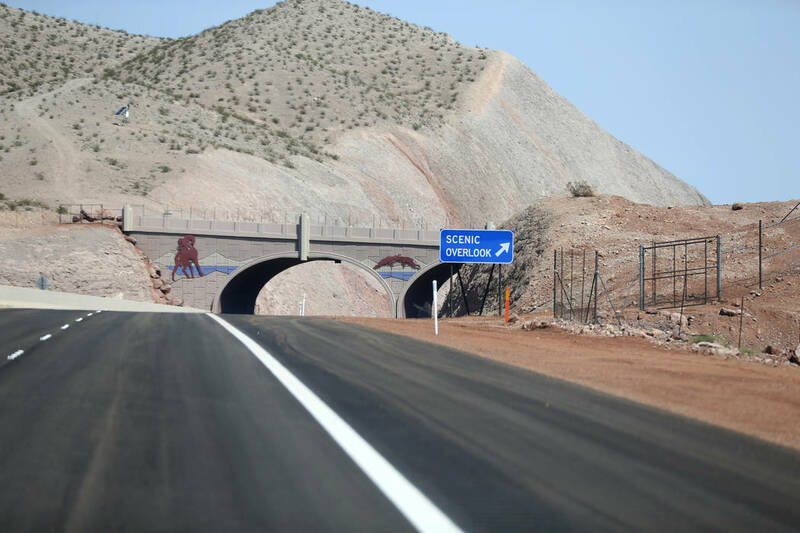 Keeping the environment in mind, Stantec also installed the state’s largest crossing bridge for bighorn sheep and other wildlife and landscaped the road with native plants and vegetation that were replanted during construction. 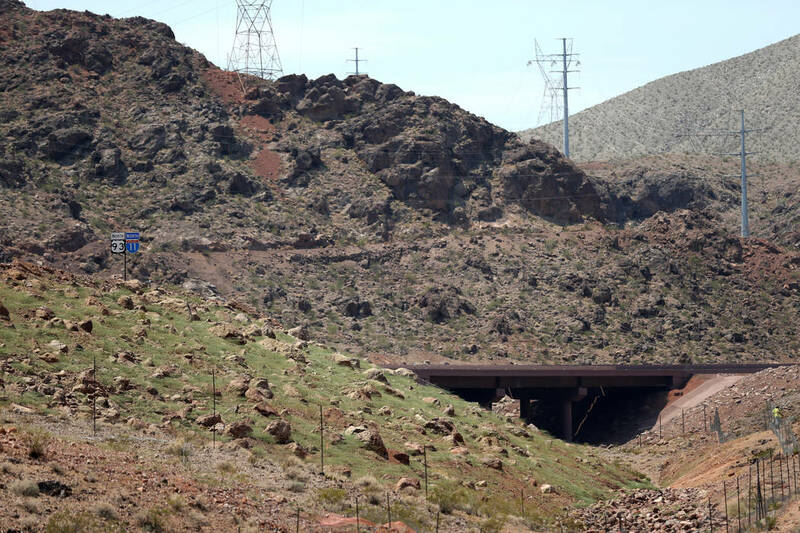 After sections of the Eldorado Mountains were blasted with dynamite to make way for the new freeway, Baird said, Stantec was charged with carving into the remaining set of towering rocks to create a natural appearance. 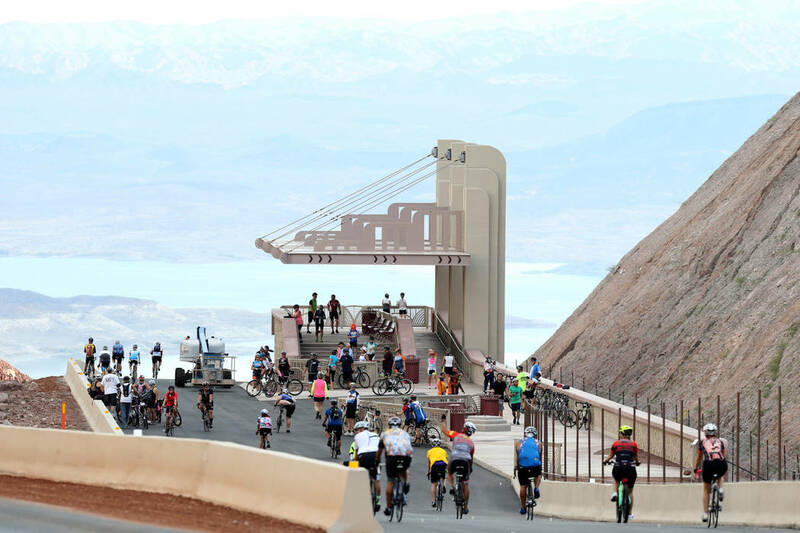 Baird’s favorite spot is a scenic overlook nestled between those mountains, where drivers can pull over and take in a panoramic view of Lake Mead, one of the nation’s largest man-made bodies of water. 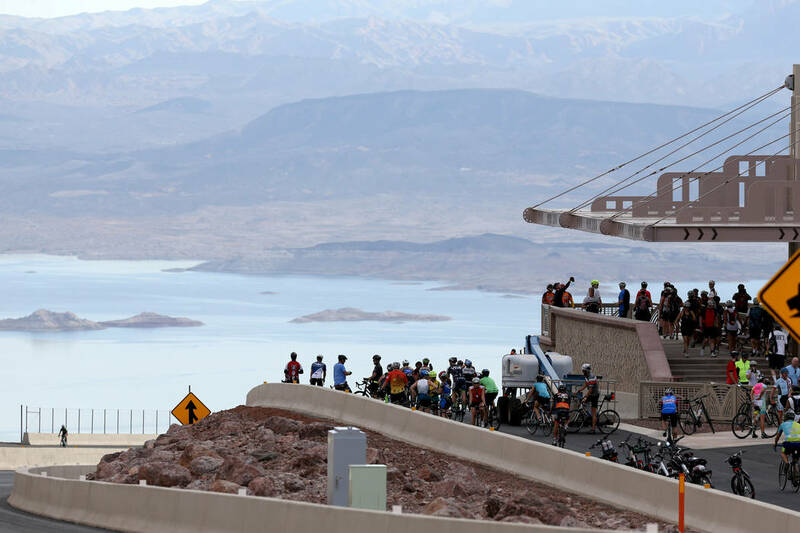 “I think the overlook is a very unique architectural statement we have that does a good job in creating that cohesion we were looking for with the Hoover Dam,” Baird said. 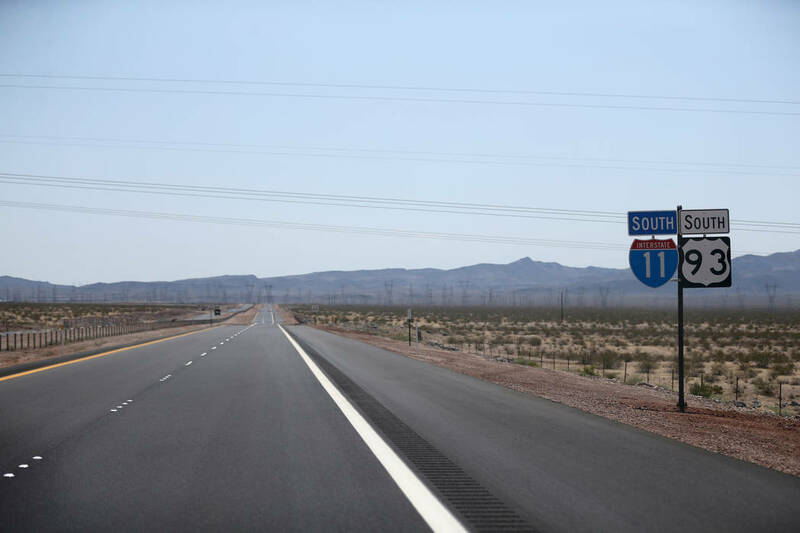 Separately, the Design Workshop designed the artwork for the 2.5-mile stretch of I-11 built by NDOT, just south of Henderson. 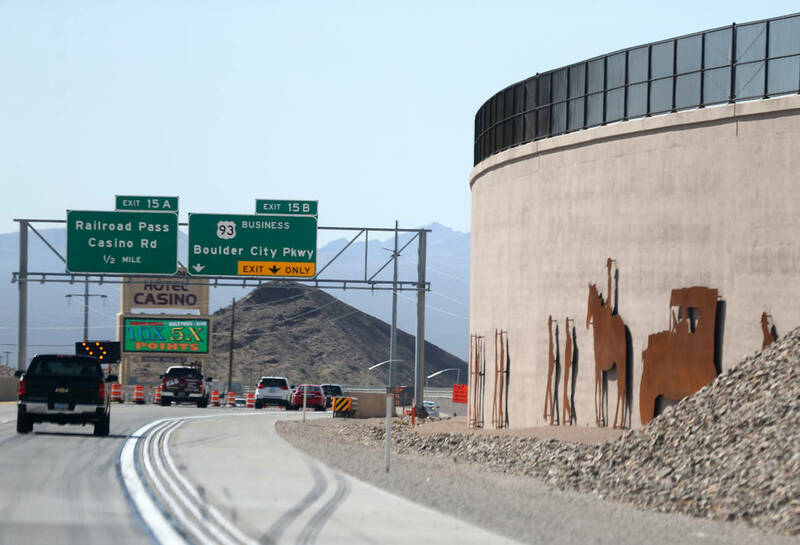 Along with art deco-style features, NDOT’s section of the freeway features a 1,200-foot-long retaining wall that’s illustrated with steel figures and objects depicting the construction of Hoover Dam. The textured, multicolored art is coated with an anti-graffiti film to deter taggers, department spokesman Tony Illia said. 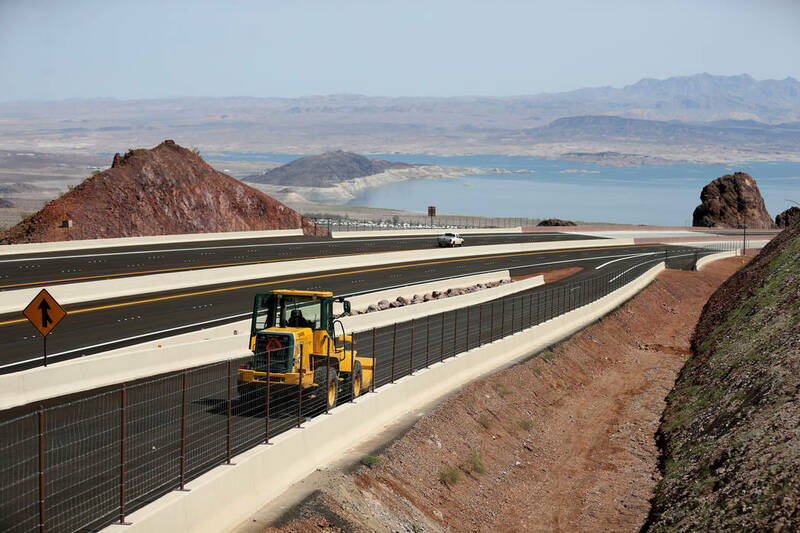 As a rule, Illia said, up to 3 percent of funding for new construction projects is set aside for landscaping and aesthetics under a 2002 master plan adopted by NDOT. Norm and Lois from Las Vegas noticed that the traffic signal on Washington Avenue at the entrance to the Cashman Center stays red for an unusually long time. You’re right, Norm and Lois. 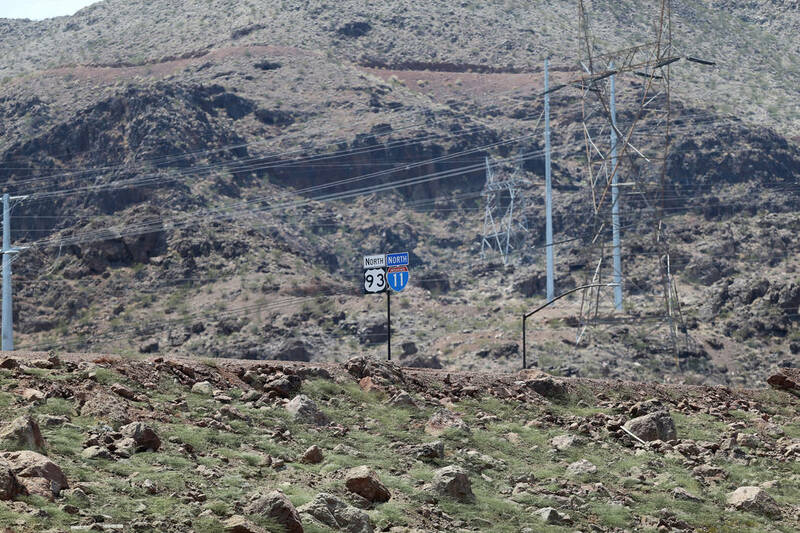 Your letter resulted in a maintenance crew getting dispatched to this intersection, where a signal-detection problem was discovered, said Margaret Kurtz, a spokeswoman for the city of Las Vegas. The signal is being worked on and should be repaired soon. 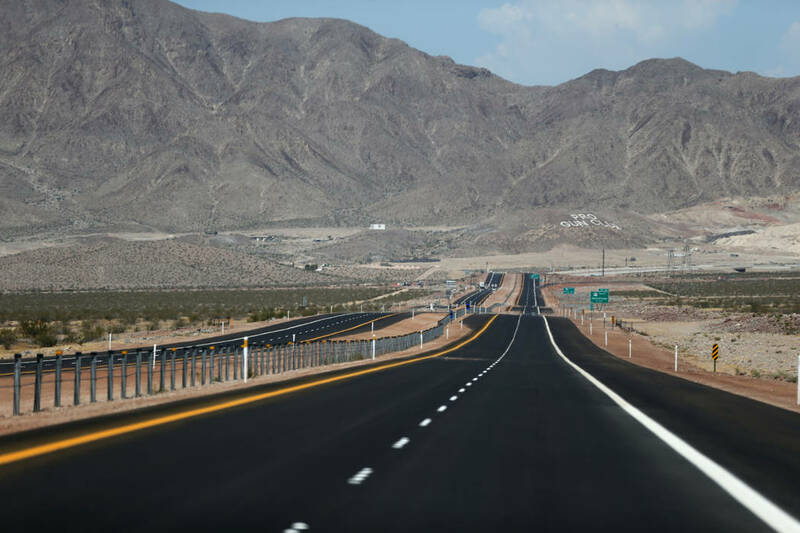 Shortly after workers repaved Pavilion Center Drive and Greenmoor Lane, Mary from Summerlin said she noticed a strange pattern with the traffic lanes. “It’s very off that a lane for northbound Pavilion Center is extra-wide, but the southbound lane and accompanying bicycle lane are narrow,” Mary said, wanting to know if the city had a reason for the differing lane widths. Kurtz, the city spokeswoman, said the pavement markings were modified as a way to provide space for on-street parking in an attempt to alleviate some of the congestion at nearby Palo Verde High School. 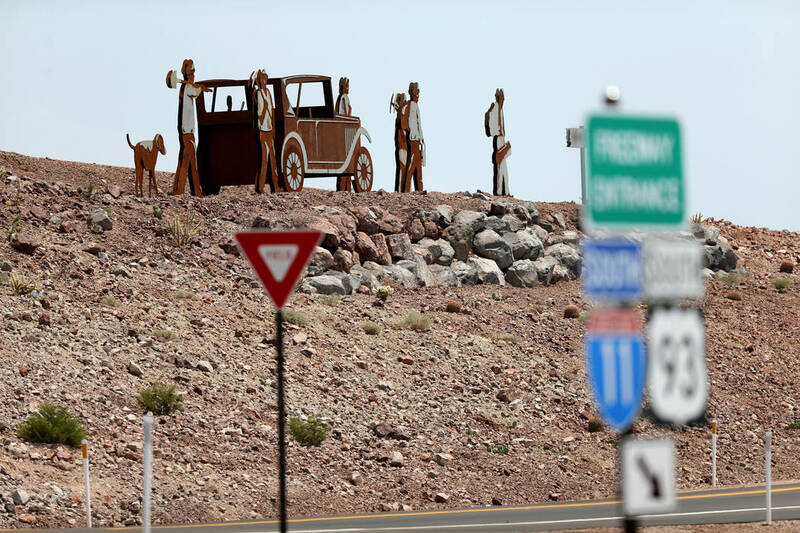 Questions and comments should be sent to roadwarrior@reviewjournal.com. Please include your phone number. Follow @RJroadwarrior on Twitter. — Ogden Avenue will be restricted between Main Street and City Parkway through mid-October. Crews are making street, sidewalk and lighting improvements. — The Charleston Boulevard onramps to southbound Interstate 15 are closed until mid-October. Crews are rebuilding the intersection. 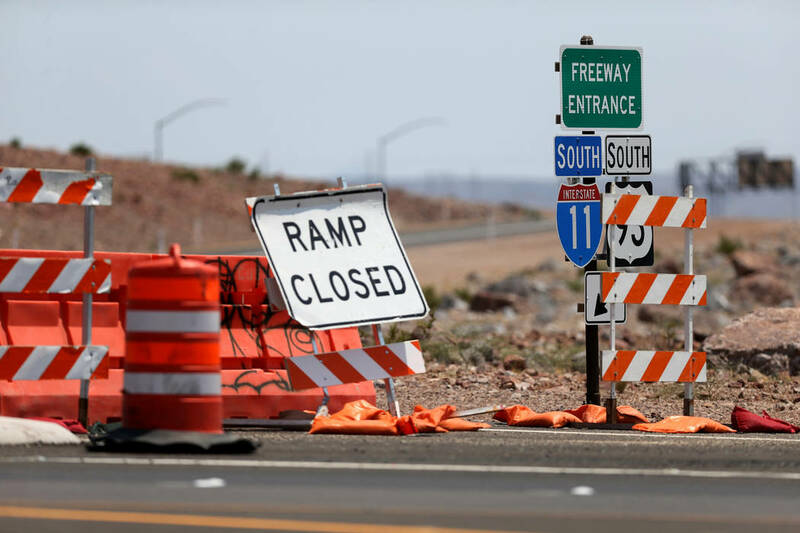 — The D Street offramp from northbound I-15 is closed through mid-November. Crews are widening the freeway. 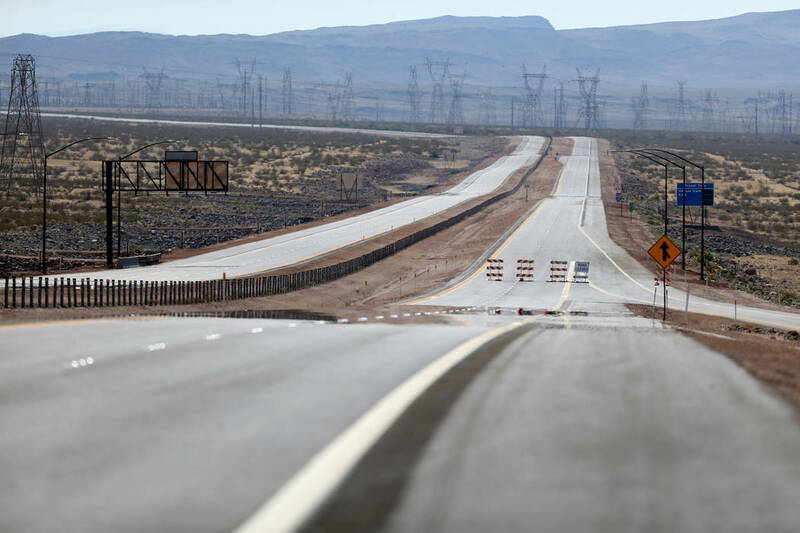 — I-15 will be narrowed in both directions between Sahara Avenue and D Street until Nov. 20. Crews are widening the freeway. 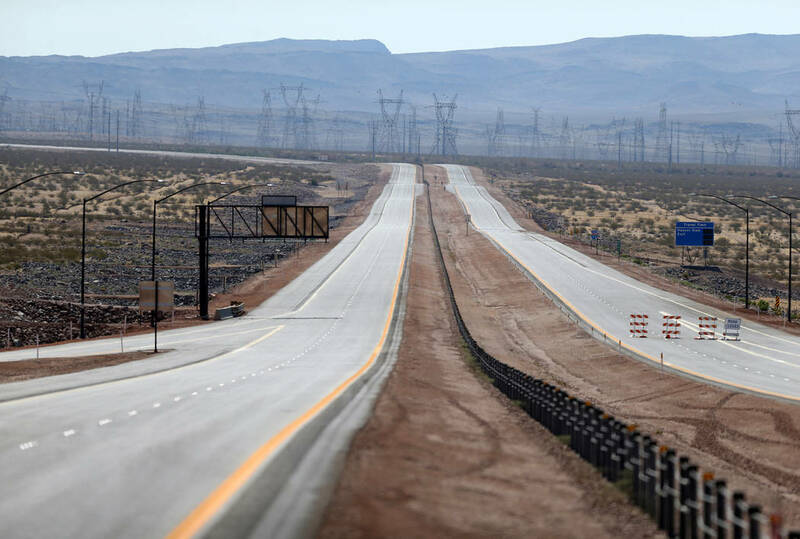 — The ramp connecting southbound U.S. Highway 95 to southbound I-15 will be reduced to one lane and detoured through Nov. 20. Crews are widening I-15. 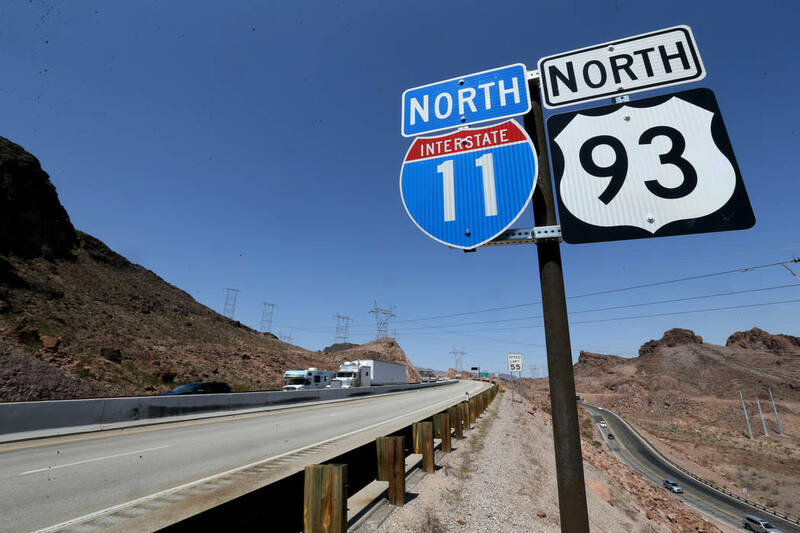 — The ramp linking southbound U.S. 95 to northbound I-15 is closed through Nov. 20. Crews are widening I-15. 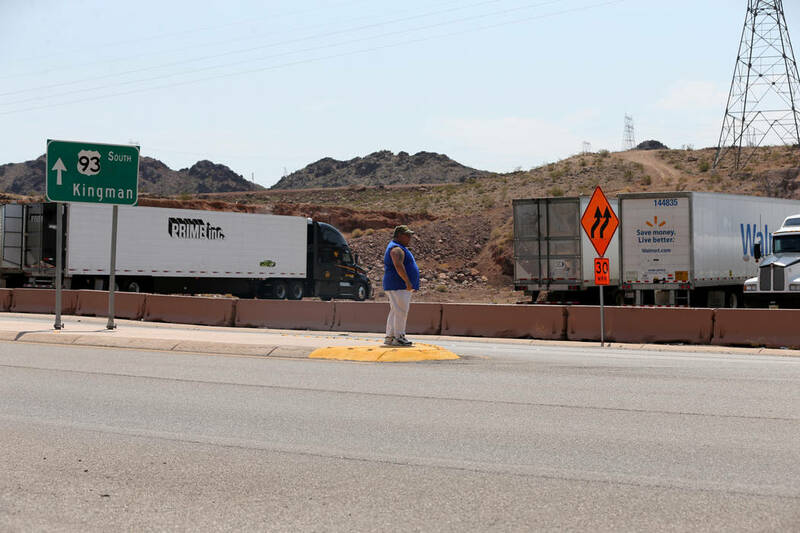 — The Martin Luther King Boulevard onramp to southbound U.S. 95 is closed until early 2019. Crews are building a high-occupancy flyover ramp. 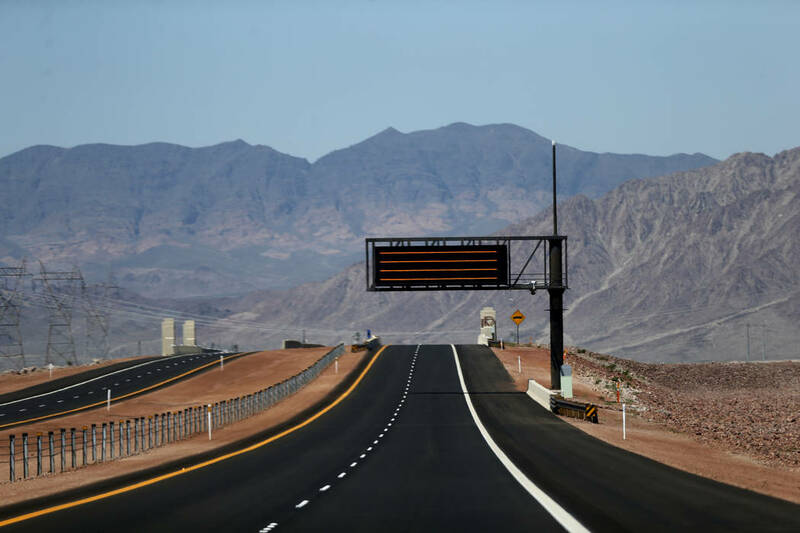 — Gass Avenue will be restricted between Las Vegas and Charleston boulevards through March 2019. Crews are making pedestrian and bicycle improvements. 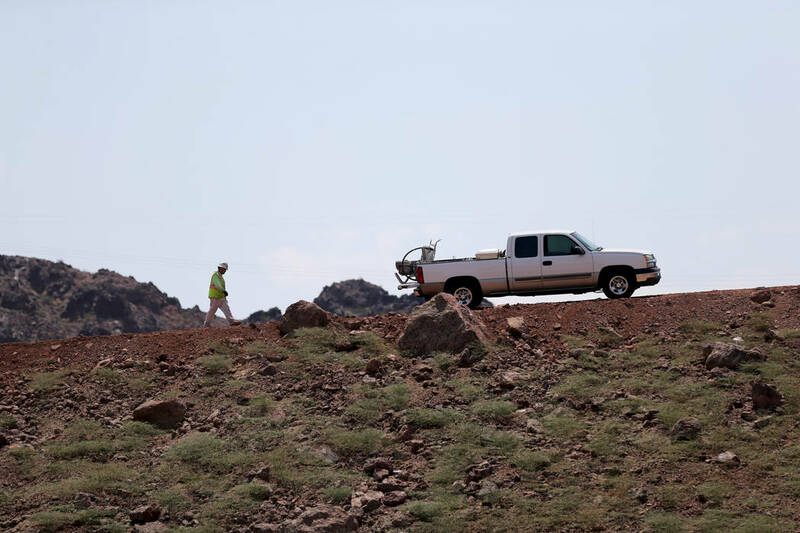 — Oso Blanca Road will be closed between Deer Springs Way and the entrance of Mountain Ridge Park from 6 a.m. Monday to 7 a.m. Saturday. Crews are making storm drain improvements. 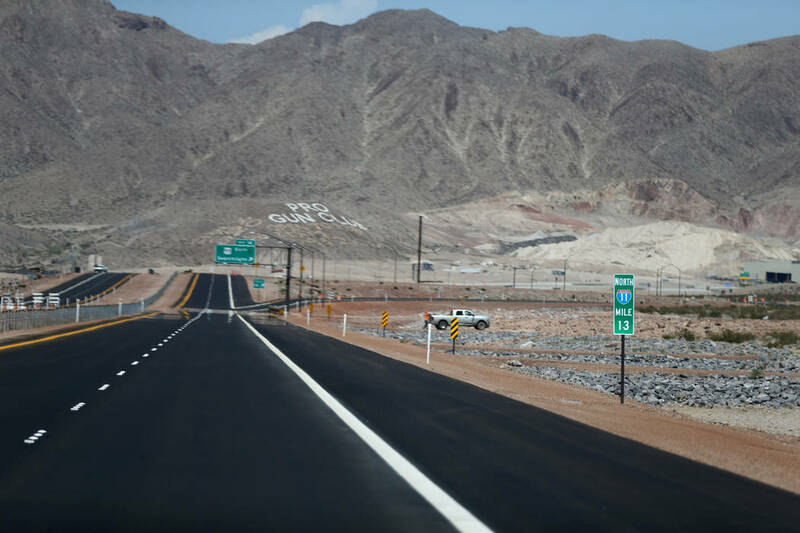 — Both directions of U.S. 95 will be narrowed to two lanes at Elkhorn Road through December. Crews are building a new carpool ramp. 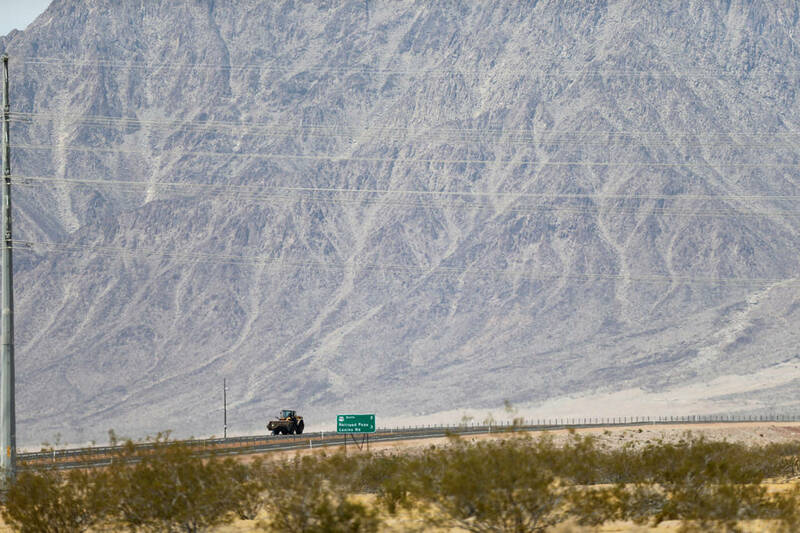 — El Capitan will be restricted between Lone Mountain and Ann roads from Monday to the beginning of August 2019. Crews are installing a storm drain system. 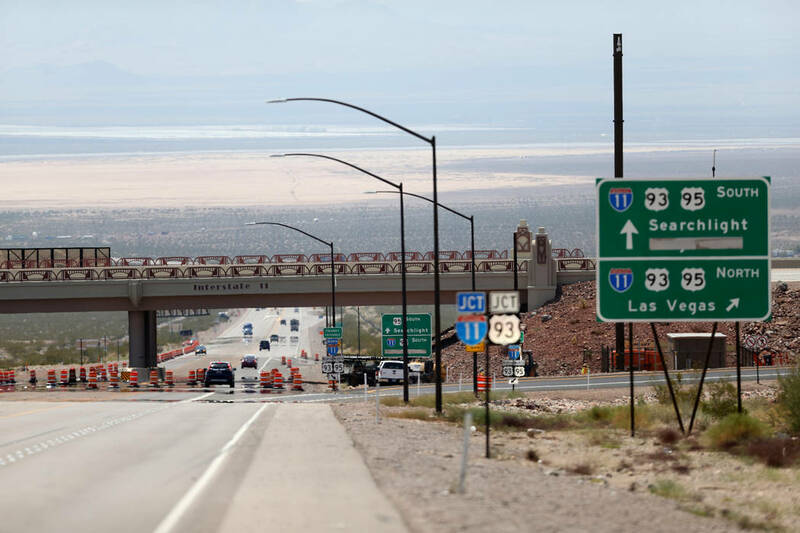 — The I-15 onramps and offramps at U.S. Highway 93 will close for overnight work from 7 p.m. Monday to 7 a.m. Tuesday, and again from 7 p.m. Tuesday to 7 a.m. Wednesday. Crews are paving ramps. 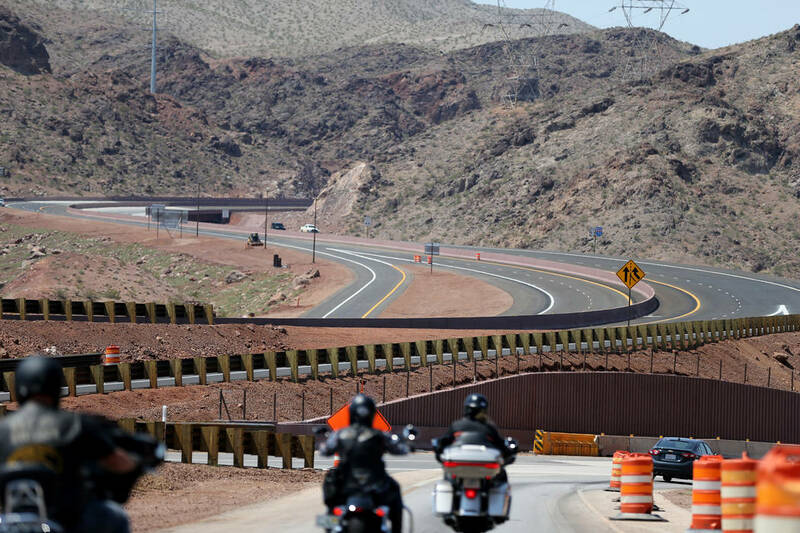 — Pecos Road will be closed at the 215 Beltway through the end of October. Crews are building a freeway bridge. — Stephanie Street will be restricted between the 215 Beltway and Cielo Abierto Way through October. Crews are repaving the road and making other improvements. The average gasoline price Friday in the Las Vegas Valley was $3.11 per gallon. It was $3.17 in Nevada. The national average of $2.87 is up 2 cents from a week ago, the same as a month ago and up 53 cents from a year ago.